The 2cm is distinctly different from the 3 - 4 cm hearts. However, differences between the 3 and 4 cm hearts are slight. 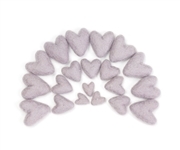 If you select 3 or 4 cm hearts, we will do our best to select hearts closest to your size preference but on occasion, we are not able to do that and will give you the other size. 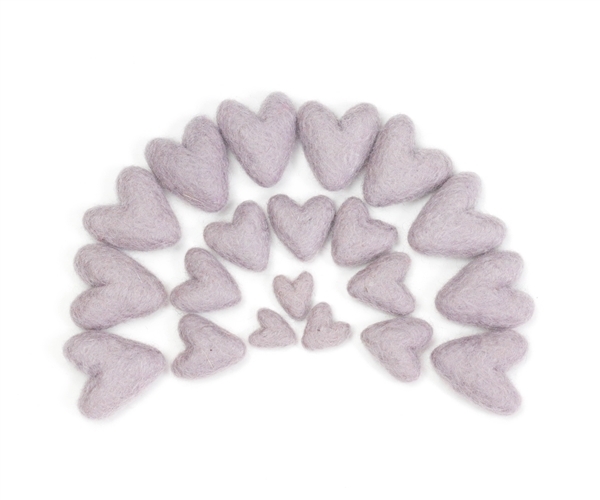 These unique felt hearts are perfect for all types of decoration. They string easily with needle and thread to make a banner over a mantle or a garland around a Christmas tree. Scatter them on a table for fun and easy decoration. They are perfect for a DIY project. Given that this is a handmade product, the shape, color, and size may very between hearts. Due to it's small nature, these balls should not be used as a toy and should be kept away from children under the age of 4.
fair wages, good working conditions, and does not employ child labor. 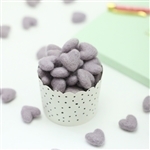 form these felt balls by hand.